The revised preliminary Flood Insurance Rate Maps (FIRMs) are available for review by residents and business owners in the cities of Fulshear, Simonton, and Weston Lakes, and the unincorporated areas of Fort Bend County, TX. Officials encourage property owners to review the latest information to learn about local flood risks and potential future flood insurance requirements. For this physical map revision, the Flood Insurance Rate Maps for Fort Bend County serve multiple purposes, including defining Special Flood Hazard Areas (SFHAs) and setting rates for flood insurance. SFHAs are areas at high risk for flooding. Communities and residents can use the information to make informed decisions about building, development and flood insurance. The City would like to thank Commissioner Andy Meyers and the County Engineers for attending and speaking at our City Council meeting on May 22, 2018. Shortly after the flooding related to Hurricane Harvey had subsided, several community leaders began meeting to discuss ways to prevent the street and structural flooding that the community experienced. The Committee commissioned Jones & Carter (consulting engineers for the City of Weston Lakes, Fort Bend #81 and Surface Properties) to perform a comprehensive study of the Pecan Lake drainage patterns in both normal and extreme events to determine what improvements could be made to alleviate both home and street flooding related to future events. Under normal rain events, Pecan Lakes drains to the north, through Weston Lakes across FM 1093 (near Fulbrook) into Bessie’s Creek, and ultimately discharges into the Brazos River. Recently, during extreme rain events such as the Memorial Day Flood (2015), Tax Day Flood (2016) and Hurricane Harvey (2017), the water from Bessie’s Creek backed up into the outfall for Pecan Lake (FM 1093 near Fulbrook) and forced the water back toward the southwest, causing adjacent street and structural flooding in several sections of Weston Lakes. With an understanding of these drainage patterns, engineers sought to utilize elevation data from LIDAR topography, coupled with a series of site visits to identify ways to incorporate additional storm water retainage as well as potential relief routes to direct impounded storm water from Pecan Lake (and Bessie’s Creek in extreme events) in the Brazos River at lower elevations than the existing outfall near FM 1093 near Fulbrook. Ultimately the engineers were able to identify four improvements, ranging from general maintenance to new drainage infrastructure that could be implemented over a period of time to help reduce the potential for street and structural flooding in the future. Removal of the trees and brush and restoration of the drainage ditch at the southern end of the Bradford on the Bend section would improve localized drainage and allow a connection to the undeveloped 70-acre tract to the south for overflow drainage during extreme storm events. The construction of a series of interconnected lakes on the 70-acre undeveloped tract located immediately south of Bradford on the Bend coupled with the installation of two connection points to allow flood water from Pecan Lake to flow into the 70-acre tract, would provide significant storm water detention during extreme events and would also create a path for water to be directed from Pecan Lake toward the Brazos River. Surface Properties (Developer) has already begun construction of the lake system as recommended in the study. A 60-acre tract located west of Bowser Road (controlled by the Developer already contains an additional 6 acres of lakes, which if connected to the lake system on the 70-acre tract (east of Bowser Rd.) would provide additional detention during extreme events and would become a critical part of creating a potential path for drainage to the Brazos River at the lower elevations mentioned above. Initial engineer investigations and modeling, as well as ground surveys at the site have revealed a restriction that is negatively impacting the secondary flow of flood water to the Brazos River during extreme events. An earthen dam with inadequate sized culverts is affecting the natural flow of water to the Brazos during extreme events. Recommended improvements that could assist in providing a secondary relief point to allow flood water to flow to the Brazos River would be to remove the existing 24” culvert and replace it with four 48-inch pipes. The restriction to this secondary drainage channel is located outside the Weston Lakes subdivision and also outside the City of Weston Lakes. Implementation of this recommendation will require the approval of the property owner. The Committee has adopted the drainage study and resulting recommendations for drainage improvements presented by Jones & Carter as part of their report issued April 24, 2018. Committee members will be responsible for communicating the results of the study to their respective organizations and constituencies. Surface Properties (Developer) will continue to expedite its efforts to complete the construction of the lake system that is already underway on the 70-acre located south of Bradford on the Bend. The Committee will continue to meet to formulate a strategy to implement the full scope of the drainage improvements listed above with a goal of implementing each as soon as reasonably possible. Further updates will be communicated to the residents of Weston Lakes as additional information is available. The positions available are as follows; Public Information Officer, Safety Officer, Liaison Officer, Operations Section Chief, Planning Section Chief, Logistics Section Chief. Full descriptions and guidelines of all these positions are available through our office or they can be located on the FEMA website. Information regarding training through the County and FEMA as well as other helpful guides can be found on the Emergency Management tab at the top of the page under Emergency Preparedness. 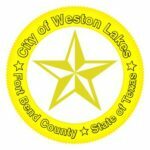 Weston Lakes Emergency Management is in the process of planning future training events that will perhaps better serve the needs of the community. We are looking into more weekend training possibilities and venues that are closer to our immediate area. If you have questions and or suggestions regarding training please let us know. Below you will notice a “Volunteer with Us” hotlink. 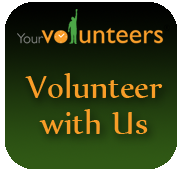 We are asking that all residents that wish to volunteer register on this website to aid in the creation of a more cohesive database. Thank you.